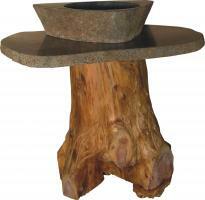 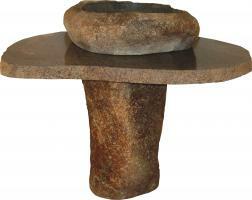 A tree trunk base holds the nice sized granite counter top with a recessed sink bowl in this nature inspired pedestal vanity. 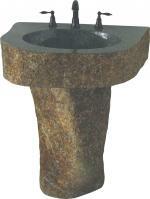 The wood of the trunk is finished in a warm golden hue which compliments the natural design in the granite. 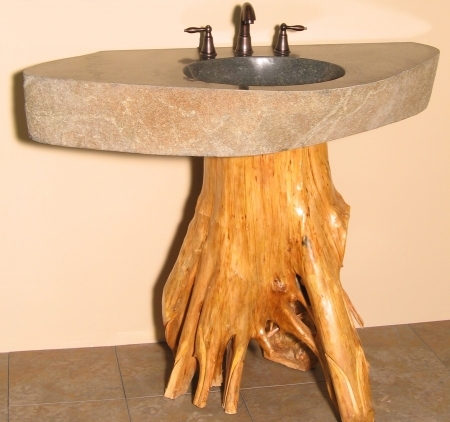 This rustic style will enhance the space where it is installed.